2011 DISCIPLESHIP FORMATION, So Tag 1. 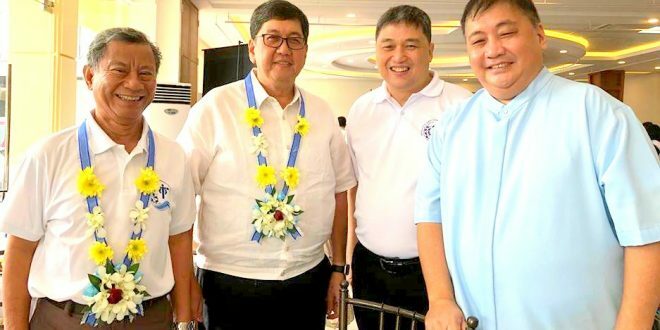 2011 Pres Larry meets Pasay Villamor. 2011 Manila Anniv. & CH Install. To whom do I send our Anniversary Breakfast Video. 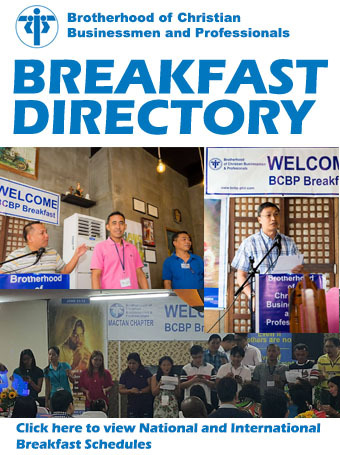 You can view it at FB Page Brotherhood of Christian Businessmen and Professionals Taguig Chapter. Brother Do we have events this comming Months of Feb and March? Do we have a Nationwide Be Honest Campaign / Motorcade ? The BCBP Community Portal has received	visits to date.